Have you made Arkansas Goulash? 2. Chop onion and green pepper. Mix onion and pepper with beef. 3. Cook till onion and pepper are soft. Cook and drain spaghetti. 4. 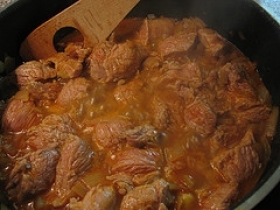 Combine with beef mixture. 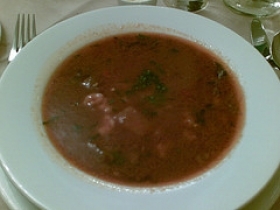 Add tomato soup and one can water or milk. 5. Cube cheese. Add salt and pepper; mix well. Bake at 350 40 minutes. This recipe contains potential food allergens and will effect people with Wheat, Gluten, Bell Pepper, Tomato, Cheese, Beef, Onion allergies.